Drake finally released his latest album last night, and fans were quick to point out something funny about the accompanying artwork: the pictures totally look like GTA loading screens. Take the picture above, for example. Kind of similar to this GTA artwork, no? Here’s Drake, scouting out his next hit. If you didn’t know any better, this could easily be mistaken for southern California—where GTA V takes place. Here’s Drake, conferring with his other partners in crime. Here’s Drake’s getaway aircraft, very crucial for pulling off a successful heist. And here’s Drake, enjoying the spoils he can now afford thanks to his heists. Yeah, I totally see it. GTA V loading screens have a similar intense focus on their subjects, just like this Views artwork. 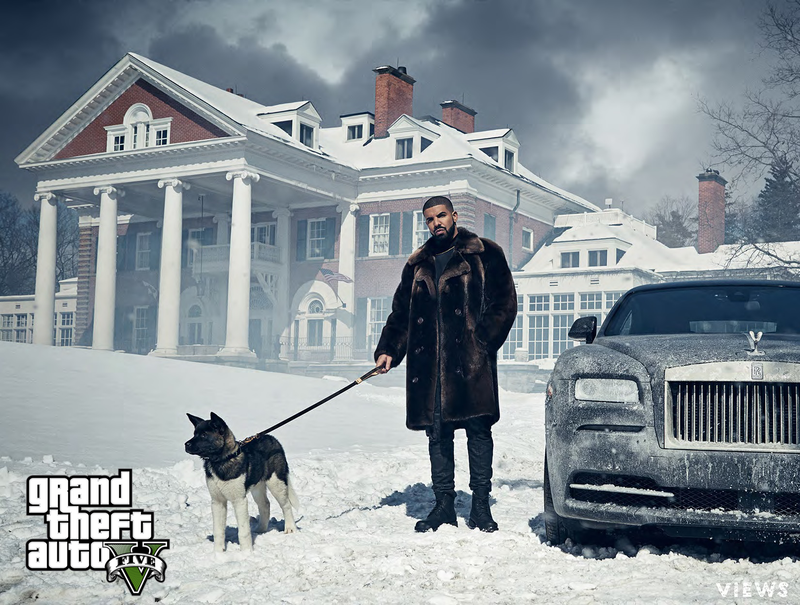 GTA VI taking place in Toronto confirmed.